Finding airline approved bird carriers can be a little bit of a challenge. 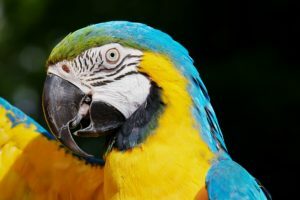 The first thing you have to consider is if you plan on bringing your bird in the cabin, or if they will travel in the cargo hold. 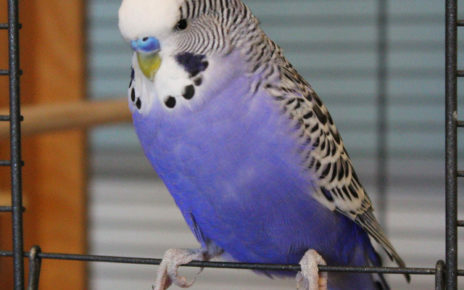 If you have a smaller bird that will easily fit under the seat of an airplane, then a small or soft carrier will meet your needs. If on the other hand, you have a large bird, then you will need a carrier that will handle the rigors of being transported as freight. For a carrier to be considered IATA compliant in must meet a minimum set of requirements for safely transporting animals. 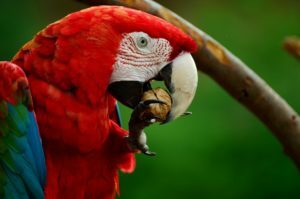 These standards not only apply to birds but also any other animal such as dogs, cats or any other pet that airlines allow in their cargo hold. The door of a carrier must be easy to open in case of emergency, but secure enough so it doesn’t open accidentally. The door must also provide sufficient ventilation and visibility so anyone handling the carrier can see what is going on inside. A carrier for a bird must be large enough for them to stand up in and move around without bumping their heads. It should also be large enough that their feathers don’t hit the walls when they turn around. 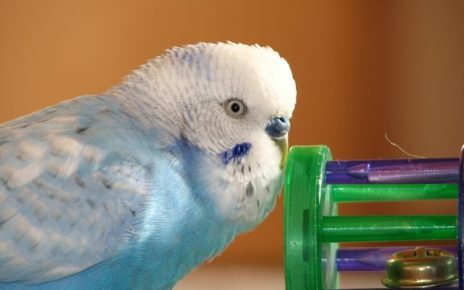 There should also be enough space for a perch so your bird can hold on to something when they are being moved around. The carrier must have a solid leak-proof floor. The floor of the carrier should also be covered with an absorbent material. A wire mesh floor with a removable pan is also acceptable and it is a much more hygienic solution in most cases. At least 14% of a carriers walls must provide a source of ventilation, though more is always preferable. One-third of the vents must be located on the top half of the carrier while the rest can be located anyplace. A rim that sticks out a least 3 inches along the perimeter of the carrier is also necessary in order to prevent the vent holes from being covered by other cargo in the plane. All carriers must have handles to make loading and unloading the carrier safe for both your pet and the baggage handler. Handles provide a safe point of contact for the baggage handler so they are less likely to suffer a bite. 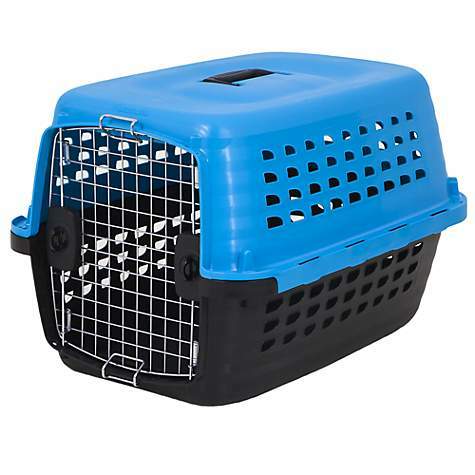 They also provide a secure way to handle a carrier so your pet won’t get as shaken up while they are being moved. 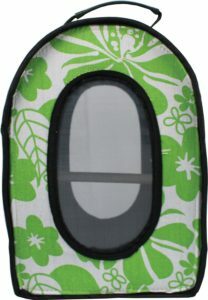 The Celltei Pak-o-Bird (Buy Online) is the best carry on bird carrier for air travel available. The fabric portions of this carrier are made from durable 168 Denier nylon. While the large ventilation openings are made of extremely strong steel mesh. The steel mesh is not only strong it is also very flexible, so you can bend and compress this carrier without much effort. That added flexibility makes it very comfortable to carry on your back since it has some give to it. And when you have to stow it under an airplane’s seat the added flexibility makes it easier to conform to the under seat size limitations. Inside this carrier, you will find a dragon wood perch and two 5 oz stainless steel cups. 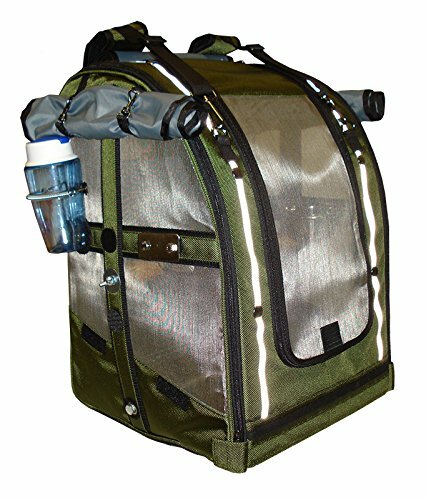 There are also extra attachments inside this carrier for any other items your bird may need. There is also a removable floor panel inside that makes this carrier a breeze to clean. The ventilation openings can also be covered with the drop down side panels. This is a very nice feature if you want to darken the interior so your bird can get some sleep. And when this carrier is not in use it is fully collapsible so it won’t take up much space. The Caitec Perch N Go Polycarbonate Bird Carrier (Buy Online) provides an easy way to transport small to medium sized birds. It also offers excellent ventilation and visibility thanks to its clear polycarbonate construction. The polycarbonate walls are extremely ridged while still being lightweight. This along with the easy grip handle makes loading and carrying this carrier a cinch. The square-shaped design also gives this carrier extra stability so it will be less prone to tipping over. The clear plastic walls will provide your bird with a three hundred and sixty degree view of their surroundings. 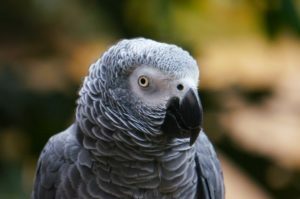 This can provide a bird with a sense of security which can make traveling less stressful and frightening. Ventilation on this carrier is excellent thanks to the plentiful vent holes and large metal doors. One of the “doors” actually opens while the other is fixed in position. The fixed door provides added ventilation and it gives you a place to mount bowls and any other other cage accessories. The You & Me Bird Carrier (Buy Online) is a plastic bird carrier that will comfortably hold a small or medium sized bird. 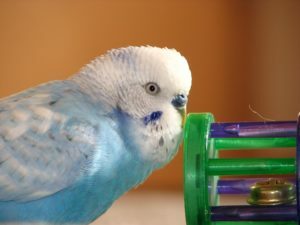 This carrier has two main parts, first there is a see-through plastic dome on top, and then an opaque plastic pan as a base to hold your bird. The main body of this carrier securely connects to the clear plastic dome with four latches found on the side of the carrier. The main body of the carrier also comes with an included carrying strap which makes transporting this carrier a lot easier. 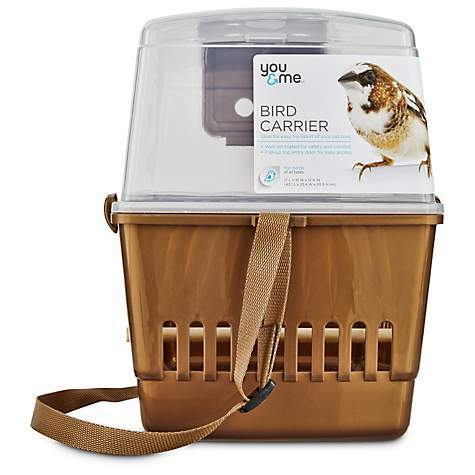 The You & Me Bird Carrier has very good ventilation on the top and bottom sections. The bottom of the carrier has long ventilation holes along the whole perimeter. While the clear dome has good sized ventilation holes only on its top. Another nice feature of this carrier is the feeding slot that will allow you to give your bird a treat without opening the carrier. The feeding slot is located on the clear top section of the carrier which makes it very convenient to access your bird whenever you want. The Petmate Compass Kennel (Buy Online) is suitable for transporting small to medium-sized birds in the cargo hold of a plane. This carrier is made of durable plastic with a metal door so you can be sure your bird will have very little chance of making an escape. The plastic shell of this carrier has excellent ventilation on all four sides. This will ensure your bird always has adequate airflow no matter how densely packed the planes cargo hold may be. The bottom portion of this carrier also has a lot of vents, unlike other carriers that only have vents on the top portion of the crate. 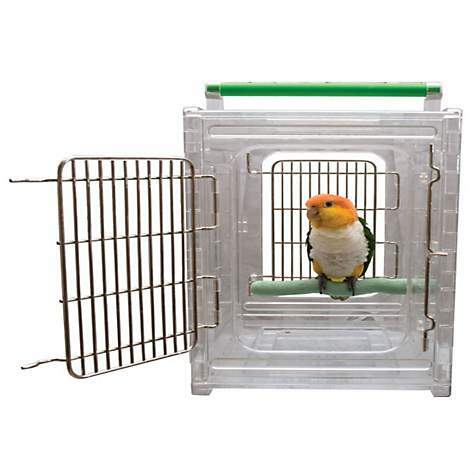 The two-way opening steel door has a double latching mechanism to ensure your bird doesn’t find its way out of the crate. The two-way nature of this door means you can open it from either side which can come in handy in a tight space. 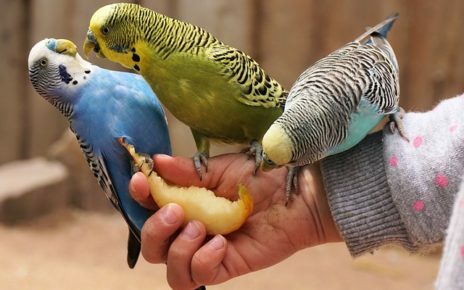 The steel door also makes a great attachment point for bowls, or for any other toys, your bird might need during their time on the plane. Putting this carrier together requires no tools since it uses a “snap and slide” construction technique. As always for added security, you can zip tie the two sections together to make sure the crate remains in one piece while being loaded on and off the plane. The Petmate Navigator Pet Kennel (Buy Online) is perfect for transporting medium to large sized birds in the cargo hold of a plane. 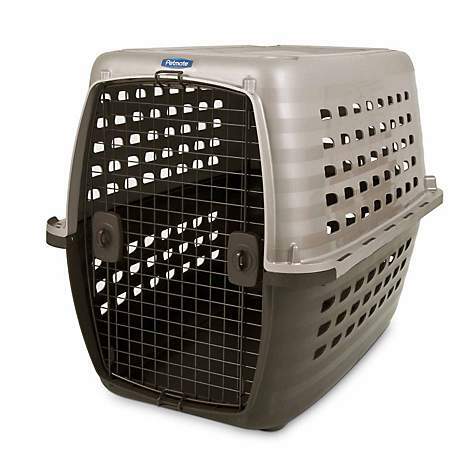 The door on this carrier is made of steel while the body of the carrier is made of durable leak-proof plastic. The main body of this carrier has a lot of ventilation so your bird will always have fresh air to breath. The plastic body is also very easy to clean thanks to the microban coating that resists stains and any stuck on debris. The large front door has a two-way design with a dual latching mechanism. Having a two-way door means you can open this carrier from either the right side or the left. This can be especially useful in a cramped area where access to the door can be limited. 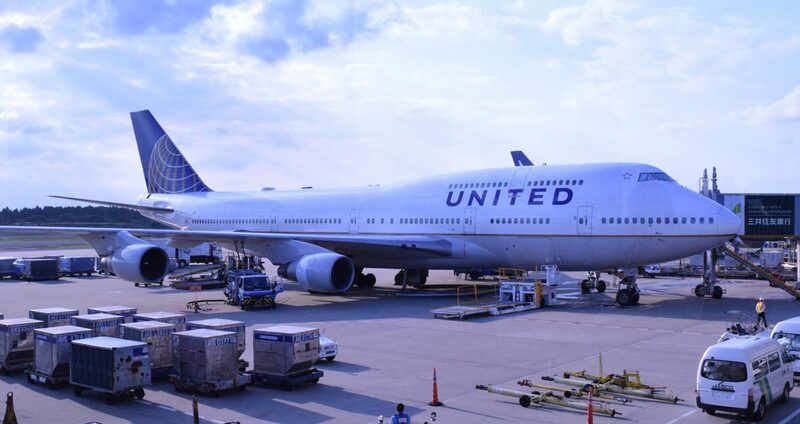 This carrier is fully IATA compliant so it should be accepted by most airlines. 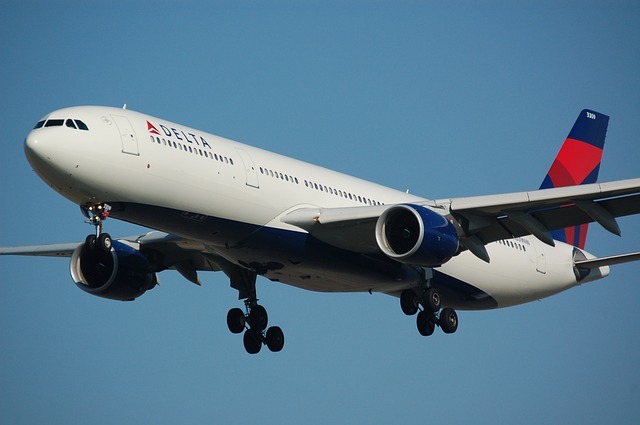 It meets all the requirements for ventilation and edge standoff space that most airlines demand. It is also waterproof so it won’t leak any waste into the plane. And it is more than strong enough to handle the rigors of being handled while being loaded onto a plane. 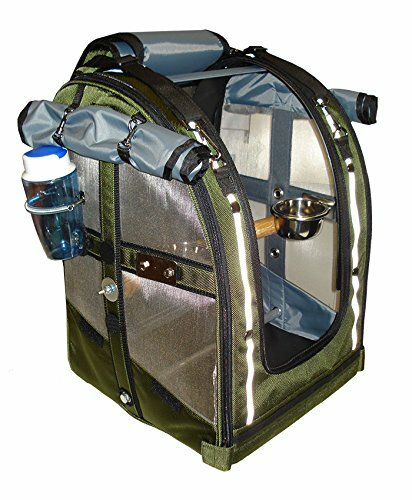 The A & E Cage Co. Soft Sided Travel Bird Carrier (Buy Online) is a stylish bird carrier travel cage. This carrier is small enough to meet the under seat requirements for most airlines. It also comes in multiple configurations and colors to suit your tastes. The soft sides of this carrier make it easy to bend and flex so it can easily fit under the seat of a plane. The larger mesh openings will provide excellent ventilation for your bird whether they are on or off the plane. The inside of this carrier has multiple attachment points which can be used for perches or for other playthings. All the interior surfaces are water resistant, so if anything gets stuck to the inside a simple wipe with a wet cloth will be all you need to get it clean. Moving this carrier around is also very easy since it has a handle and a shoulder strap. The handle is located on top of the carrier and makes it easy to move without jostling your bird. While the shoulder strap provides a means to comfortably walk around with this carrier when you are in the process of boarding, or when you are ready to deplane. 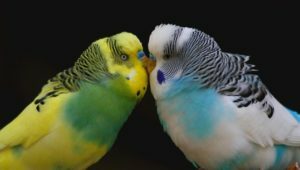 Most airlines will allow birds in the cargo hold, just make sure to call ahead to be sure your carrier or crate meets their requirements. When it comes to airlines that allow birds in the cabin that can be a little harder to ascertain. For this reason, we have put together a list of airlines that allow birds in the cabin and the fees they charge.